Oh boy! It’s that time of year- time to wrap up pretty little gifts with the most adorable packaging! 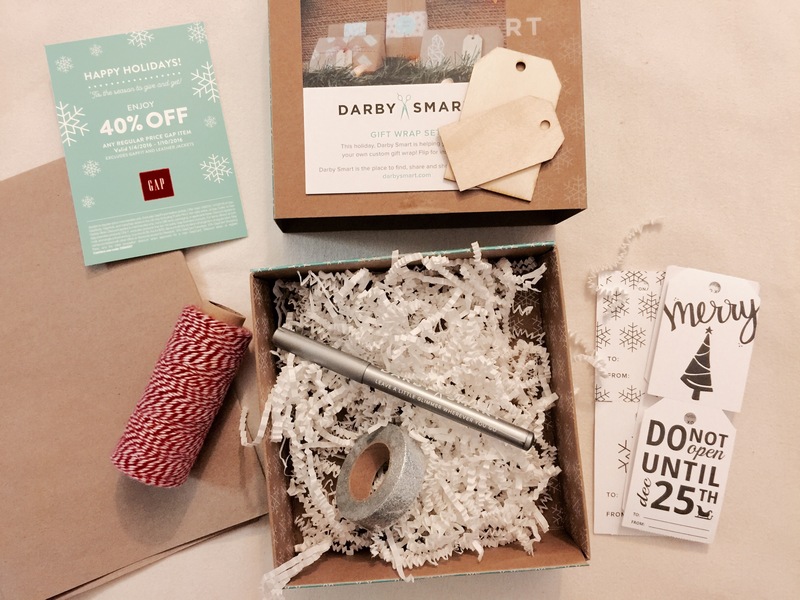 Darby Smart teamed up with Gap to create a gift wrapping set, and as a Darby designer I got a sneak peek to get the party started. (Yasss!) It’s full of all the things to add a handmade touch to any gift. – Get your own here! 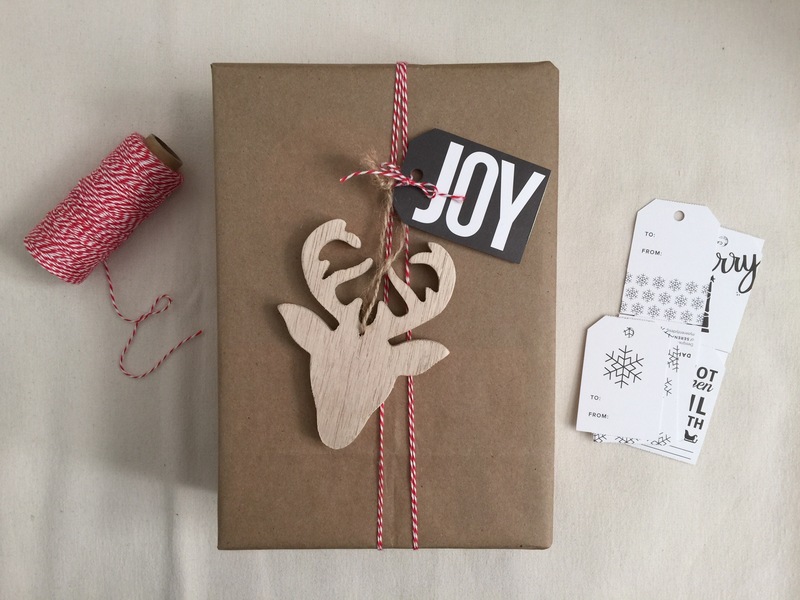 The kit comes complete with kraft paper, a set of gift tags by Darby designers, wooden tags, candy cane bakers twine, silver sparkle decorative tape, and a silver marker. And if you’re like me, you consider the shredded paper filler part of the kit, too! First off, can I say that I looooove kraft paper. It’s simple and clean, but has so much potential and can be dressed up in so many ways. Here, I’ve just added a wooden ornament to add some shape and dimension to the package. Easy peasy. And next up, I was inspired by the snowflakes on one of the gift tags and drew my own abstract versions with the included pen. 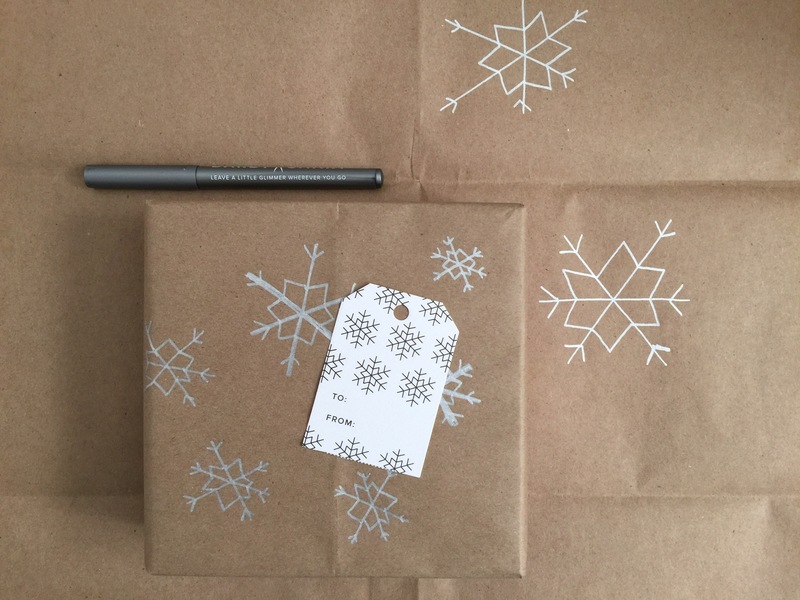 Simply add decorative tape to seal the package. Add an ombre effect to the wooden tags with stamping ink. Punch out sparkly shapes. The decorative tape included is thick enough to use a punch on. What’s your favorite way to wrap gifts? Share below! And find more gift wrapping ideas on Darby Smart and on the Darby Designers Pinterest board.